Over the last few months myself and colleagues at the Public Service Research Group have been working with the ACT Government around their Emergency Material and Financial Aid (EMFA) program. The ACT Government is considering the nature and effectiveness of its EMFA program and we undertook an evidence review into EMFA programs, highlighting key tensions and issues in relation to Emergency Relief. In this review we set out an overview of the types of services that these programs comprise, the evidence base around their effectiveness and the types of challenges and issues that EMFA services encounter. Earlier this year we used this evidence review to facilitate a discussion with a range of stakeholders in the ACT around the degree to which local patterns in EMFA services match those in the literature and what might be done to further develop existing EMFA services. The ACT Government is now embarking on a co-design approach that will seek to draw on key stakeholder perspectives and best practice in terms of the evidence base. You can find the full evidence review here. 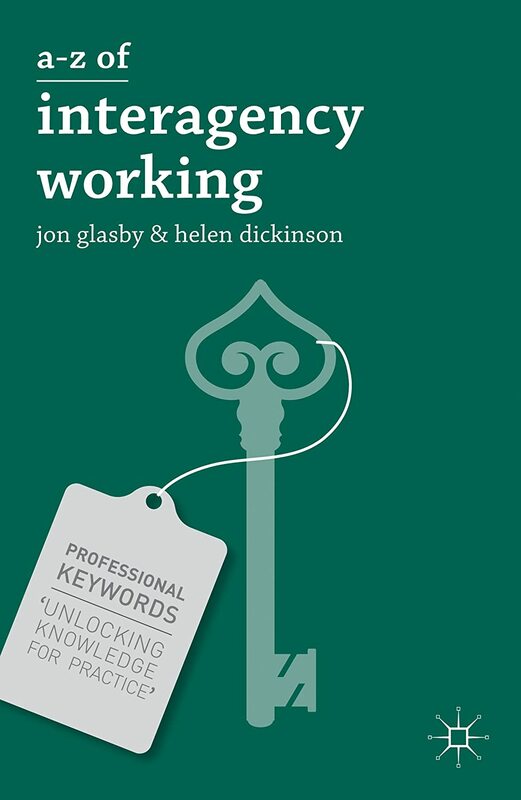 Back in 2008 I wrote a book called Evaluating outcomes in health and social care, which was part of a 5 book series called ‘Better Partnership Working‘ aimed at students and practitioners working in and around health and social care environments. 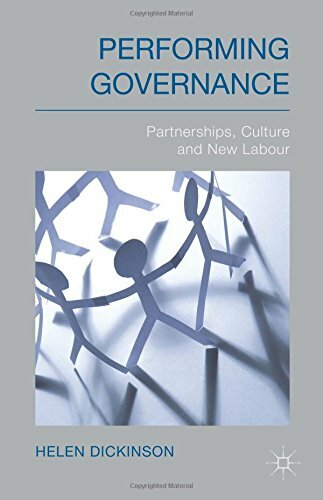 This particular book focused on reviewing the evidence for collaborative working and provided an overview of the different approaches used in evaluating joint working arrangements. Last year Janine O’Flynn and I revised and updated the initial book and published a 2nd edition of the text. We updated the evidence base and expanded this to take more an international perspective on the issues. The reviews have started filtering through for this text (and for the broader series) and I will share these here as they emerge. The first is from Emma Miller at the University of Strathclyde and who has worked extensively in the evaluation of collaboration and health and social care outcomes. Her review of the book can be found here and in this she provides a very helpful overview of the content for those who might be interested in this text. There is a story that has featured fairly prominently in the Australian media of late that hits many of research interests. The story focuses on Centrelink, which is a program that sits within the Department of Human Services and delivers a range of different government payments and services for those who are unemployed, people with disabilities, carers, parents, Indigenous Australians and others. The majority of Centrelink’s work is in relation to disbursing social security payments. Last year an automated debt recovery system (the snappily titled Online Compliance Intervention) was designed with the aim of recovering $4.5 million in welfare debt every day. This computer program compares data gathered from other government agencies (e.g. the Australian Tax Office) and compares it to what has been reported to Centrelink. The aim here is to work out where people have been overpaid benefits and then to work to reclaim these. In the past the same kind of system was used but referrals were passed to a Centrelink officer who would investigate before sending out a letter asking for more information about any discrepancies. Between July and December of last year 170,000 compliance notices were automatically sent out, where previously only about 20,000 a year were issued. The problem came about because many people reported not receiving these letters (some went to old addresses or they did not check their MyGov account) and then they were contacted by private debt collectors who work for the department. Essentially if you don’t respond to one of these letters in 21 days and provide more information, this is assumed to be evidence of an overpayment and the process is started to reclaim monies owed. Although the offical figures aren’t known, it has been suggested that about 20 per cent of those receiving these notifications are in error. By the nature of the work that Centrelink do, this typically means that these are individuals and families in the lowest socio-economic groups that are being pursued wrongfully for debts that they don’t owe. In some cases people were being asked for information (such as payslips) going back to 2012 and were having to pay back debts they did not owe because they couldn’t prove that they didn’t owe this money. As this story hit the news it gained the moniker of ‘robo-debt’ and there were a number of stories initially that blamed the robots for incorrectly calculating figures. Stories tended to talk about decisions being made that would not have got past “human” quality control such as the fact that robots calculate fortnightly income by dividing the annual income by 26 or they don’t pick up on mis-spellings of employer names and other egregious flaws that resulted in people being inappropriately pursued for debt. I’ve been getting interested in the use of robots in public services of late (more to follow soon) and here were the robots being blamed for poor people being pursued for money they didn’t owe. What seems to be fairly well established now is that the robots weren’t to blame for this outcome – they were just doing what they had been programmed to do. What had been changed is that the quality control had been removed and the algorithms that were used to identify debts had not been revisited given what we know about the number of cases that were initially identified in the old system and which were actually followed up. The processes of communication with those being pursued for debts was in practice more problematic than the initial process of identification and had led to the distress of many of those caught up in this process. The final bit of the story that has come out more recently is even more interesting with respect to what has gone wrong. In a recent ABC news story, Henry Belot found that there was no formal briefing on this issue between the Department of Social Services (DSS) and the Department of Human Services (DHS). Broadly speaking the DSS has responsibility for developing policy relating the debt recovery policy, which DHS then leads on the implementation of. So the department that developed the policy didn’t formally brief the department that implemented it. What this shows is the importance of developing policy with those that implement it and the challenges that arise when you don’t do this. This is a stark illustration of the policy implementation gap, which is a key theme of the new research group that I head – the Public Service Research Group at UNSW. This example further demonstrates the importance of collaborative working and what happens when different agencies don’t work together. You can find more analysis on this and expert commentary on this from me and others in Henry’s piece which is here.